Babri mosque demolition anniversary highlights: Hundreds of security personnel dotted the roads and bylanes of Ayodhya. 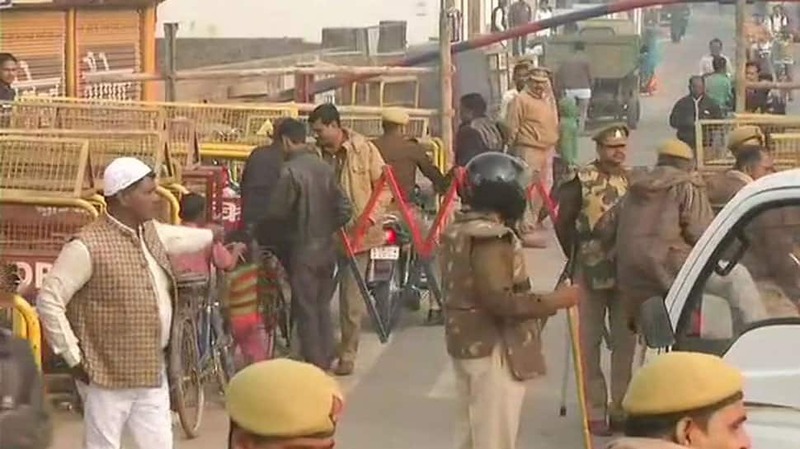 In the wake of the 26th anniversary of the demolition of Babri mosque in Ayodhya on Thursday, authorities and the Uttar Pradesh Police have tightened the security and are keeping an extra vigil to avert any untoward incident. Hundreds of security personnel dotted the roads and bylanes of Ayodhya. More than 2,500 police personnel, besides Rapid Action Force and paramilitary CRPF, have been deployed as part of multi-layered security in Ayodhya including in and around the disputed site and several parts of Hanumangarhi area of the city, officials said. "We have heavy security deployment in the twin towns of Faizabad-Ayodhya. The civil police along with CRPF and RAF have been deployed on roads and sensitive localities. Checking of vehicles, hotels and dharmshala (rest houses) in Ayodhya is being conducted. We have made all necessary security arrangements and have allowed only programme which are held by both the communities every year," Superintendent of Police, Faizabad (city) Anil Singh said. Despite the strict security presence, it was business as usual in the temple town as pilgrims moved in and around the Hanumangarhi area and most of the eateries and shops were open. "Ayodhya was peaceful during the recently held Dharam Sabha and is absolutely peaceful now," the Mayor of Ayodhya, Rishikesh Upadhyay, said. The Vishwa Hindu Parishad (VHP) and Bajrang Dal are preparing to mark the day as 'Shaurya Diwas' (day of bravery) and 'Vijay Diwas' (day of victory) and have asked the people to light earthen lamps as on Diwali, while the Muslim outfits have said they will observe 'Yaum E Gham' (day of sorrow) and 'Yaum E Syah' (black day).